The full lineup for Country 2 Country has been released, and it’s going to be one of the best years yet. The three headliners are Tim McGraw and Faith Hill, Kacey Musgraves, and Little Big Town. And the headliners are great, but the most exciting acts are those you may not have heard of. We all know how brilliant the headliners are. 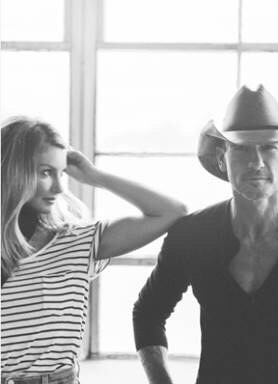 Tim and Faith are just about to release their first ever duets album, after decades of solo hits – and, of course, the occasional duet. Little big town are one of the most talented bands in current country music, and have blown us away at C2C, and headlining UK tours. Kacey Musgraves changed country music, with her provocative lyrics and traditional country sound. Probably the most exciting act to be announced was the legendary Emmylou Harris, but she is not the only talented woman to grace the stage at the O2. Margo Price is the future of country music (you heard it here first, folks!). She gives traditional country a modern edge – check out her album Midwest Farmer’s Daughter before her new album is released later this month. Jillian Jacqueline is one of Nashville’s most in-demand songwriters – she co-wrote Vince Gill’s ‘Down to My Last Bad Habit.’ Ashley McBryde again reflects the more traditional side of country, her music is pure and wonderful. And, of course, we have Lindsay Ell, if you haven’t heard her music, stop reading and fix it. She is one of the most talented guitarists I have ever heard, and her most recent album, The Project, is brilliant. Lucas Nelson, Willie Nelson’s son, will also be playing. He, and his band, Promise of the Real, recently toured with Neil Young, they’re just great musicians. Midland are one of the only bands on the lineup. Just check out their single ‘Drinkin’ Problem,’ I don’t need to say any more! Luke Combs latest single ‘When it Rains it Pours’ displays his very country voice, with a modern take on pop country. Kip Moore will be returning to the C2C stage, alongside familiar name, Kelsea Ballerini. Today there have been complaints from fans that these are not the big names that they were expecting. I will admit that this year is more traditional country, but these are the future stars, and in years to come, you will be so glad that you had the opportunity to see these artists before they really take off, because, I promise you, they will. I’ve been a fan of country music since 2001, when at age ten I moved to the middle of nowhere, Lawton, Oklahoma. I got a chance to chat with Bob Harris tonight, and we were both just blown away by how country music has just exploded in the uk. When I first moved back here, Bob was my only outlet for country. Half an hour on a Tuesday night. Now we have Country Music Week, regular headlining tours, and a 20,000 capacity country music festival. It’s been a long time coming, but this is our time. Next Day Splits Announced for C2C! Get update, roll on C2C !